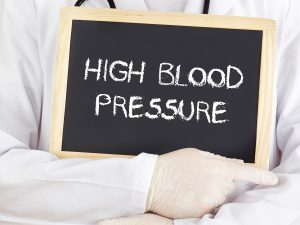 Caregivers in Colts Neck NJ: What are the Potential Complications of High Blood Pressure? What are the Potential Complications of High Blood Pressure? Approximately 75 million people throughout the United States are currently living with high blood pressure. The risk for developing this condition increases with age, with the majority of people who have it being over the age of 50. As a family caregiver it is important that you understand this condition and how it can impact your elderly loved one so that you can give them the care that they need to manage it properly and protect their health moving forward. High blood pressure is a contributing cause of more than 400,000 deaths each year. It can contribute to a wide variety of potential complications and health issues, making it a dangerous issue even if your parent is only in the early stages or has not been living with it for a long stretch of time. • Heart attack caused by the damage to arteries and blockages that can occur due to persistent exposure to high blood pressure. • Stroke caused by damaged blood vessels being particularly vulnerable to clogging and breakage in the brain. • Heart failure caused by the heart weakening over time after constant exposure to excessive workload. • Kidney disease or failure caused by interference to kidney function after the arteries feeding it are damaged, leaving the organ less capable of filtering blood effectively. • Vision loss caused by damage to blood vessels in or around the eyes. • Peripheral artery disease caused by the narrowing of arteries in the stomach, head, arms, or legs occurring due to atherosclerosis. This can lead to fatigue or serious pain. If your aging parent has been diagnosed with high blood pressure, or they are at increased risk of suffering from this condition, now may be the ideal time for you to consider starting home care for them. A home care provider can be with your aging parent on the schedule that is right for them regardless of how much care they need, how often they need it, or how much care you give them regularly. This means that whether your parent’s needs are mild or complex, you can work with the elderly home care services provider to devise a course of care, management, support, and assistance that will help them to stay safe, healthy, comfortable, and happy throughout their later years. Through a highly personalized approach to their care, this care provider can help your loved one live the quality of life that they desire and deserve, remain as independent as possible, and find meaning and fulfillment in this chapter in their life. In your role as a family caregiver, this can give you tremendous peace of mind, ease your stress, and allow you to better focus on the other obligations and responsibilities in your life. Care can also help to promote more independence in your aging parent, allowing them to do more when they want or need to rather than having to always wait for you. If you or an aging loved one are considering hiring a professional caregiver in Colts Neck NJ, please contact the caring staff at Lares Home Care 888-492-3538 or 732-566-1112.